I'm a limo driver doing high miles, and am wanting to perform frequent light polishes to remove wash marring only. (not RIDs). I'm a beginner so I haven't got much to compare to, but the HD Speed is working very well indeed. I am using an old ROS with a mere 5mm throw, and a soft foam pad. I am finding it very easy to achieve the finish I want, which is "very good", but not showroom level. It is definitely removing all the fine swirls/marring that results from very frequent washing & drying. Before the HD Speed, I had tried Menzerna SF3500. This also worked well, HOWEVER, I found it very difficult to remove the product. The HD Speed, on the other hand, is very easy to remove, and of course I have the added benefit that it leaves behind a waxed surface. This by far is the best finishing or even light correction polish I have ever used. Highly recommend this product to anyone out there. Best all in one without a doubt. A little goes such a long way, and it's a dream to remove, so easy! Looks brilliant, the combination of HD polish and poxy is a winner. And by using a medium cut pad you can achieve a surprising amount of correction. It's my go to for quick one step polishing jobs, a great money maker for any professional detailer, and stupid easy to use for any novice hobby detailer too. Love this stuff. As the heading says , HD Speed is an excellent product and is the best aio available . HD Speed - maximum efficiency & performance! HD Speed has become my most essential product for 90% of paint correction! It is one of the best multi tasking compounds on the market bar none. 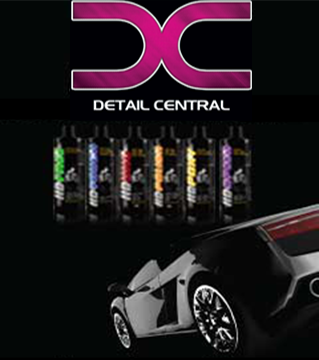 The ease in which it flattens swirls and scratches leaving a perfect finish is extraordinary, highly recommended! A great product. It is so easy to work with, the polymers add an insane slickness and makes polishing a dream. This polish is almost like a cleaner wax more so than a polish but it will remove slight defects. The end result is a rich gloss and really deepens dark colours. The best one step I have used. Best all in one polish. This is my personal favorite when an all in one polish is needed. Corrects minor paint defects while leaving a nice glossy protected finish. Very user friendly. You won't be disappointed.